I have always loved that thing about doing something not because it’s easy but because it’s hard, not because it’s what everyone does but because it’s what no one has done. For me that’s what’s wonderful about being an indie writer. This is our chance to do something extraordinary. To write what no one else will, or can, write. To say the things no one else will say. And because this is my first January at the newsdesk here I thought in that spirit I would share the thing that will keep me absorbed most of this week, from one of my other passions – the world of extreme running. Two days ago, around 100 people set out to take on “The Spine“, a 7 day non-stop foot race along the 268 miles of the UK’s Pennine Way through the driving wind, rain, ice, and snow, over the summits of some of the country’s highest peaks, carrying everything they need for that period on their backs. The winner will take around four days. And may or may not sleep in that time. The metaphor should be clear. Being an indie is like being an ultra runner. There are races where your crew can meet you every check point with food and drink and shelter, where a pacer can guide you along the way. And there are races like The Spine. And both are brilliant. But I know which one’s for me. Life imitating art: this is one break up that’s ending the courts. The sudden cessation of business by ebook distribution platform All Romance, and its subsequent less than impressive offer to pay 10% of owed royalties, was big news last week. This week the story has moved on. 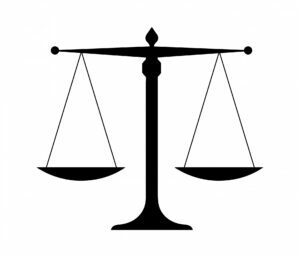 Making the announcement on a Facebook page for former All Romance writers, one author has launched a class action lawsuit against the company. There is a very detailed, and regularly updated, thread on developments in this story, as you would expect, at Writer Beware – whether you are affected or not, it is worth keeping an eye on the outcome of this one. You can also find some excellent, and in depth, analyses of the issues raised by this series of unfortunate events from Kristine Kathryn Rusch here and here. It feels like an extraordinary milestone. There are now more than 5,000,000 ebooks available for Kindle (depending on the marketplace). That is a lot. But it is still dwarfed by the 49,000,000+ print books. Meanwhile, Nook’s woes continue with the urgent recall of the $50 Nook 7. Just a few weeks after concerns over malware on the device, the recall was prompted by worries that the tablet’s adaptors might not be as physically robust as would be idea. I like to feature interesting crowdfunding news here on a relatively regular basis, because indies need reminding what great potential it offers. These two items particularly caught my eye. 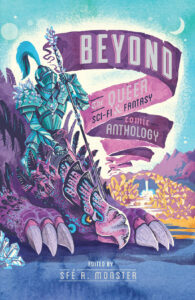 This story on the successful use of crowdfunding to resource comics (which have, the piece tells us, a 50% success rate on Kickstarter which is great odds however you look at it) created by members of communities traditionally underrepresented, such as the pictured Beyond Queer Sci Fi and Fantasy anthology. This is a story that I think bears reading alongside the next paragraph on the exception that niche provision can make to many restrictions faced by indie authors. And whilst the story of the Republic of Consciousness Prize is strictly speaking about funding opportunity for small presses publishing daring work who can’t afford the entry fee to regular prestigious prizes, the ability of organiser Neil Griffiths to raise £7,000 in prize funding through an online raffle should, again, get us thinking. Some positive news from library ebook provider Overdrive, who reported a 21% increase in ebooks and a 34% increase in audiobooks being borrowed in 2016. Meanwhile, I was intrigued by this piece in Publishing Perspectives in discussion with Peter Hudson of ebook subscription service Shelfie. Hudson’s assertion is that subscription models such as the failed Oyster, struggling Scribd, and his own Shelfie will fail without all the big publishers on board. What’s news here is that he looks to have some interesting data to back this up, derived from analysis of readers’ personal libraries. The data is from a small sample, and it’s of physical books, but what it does show is that the most voracious consumers (of print, anyway) get their books from literally hundreds of imprints. There are some takeaways for indies – if this is to be believed then indies may be dependent on what trade publishers do or do not do; and there are some exceptions in niche genres whose output is controlled by just a few places (as indies we know and exploit this already – it seems like we might have the right idea). 2017 Digital Book World starts today. And this Thursday sees the event’s first Indie Day. Several of ALLi’s finest will be speaking. If you can’t get there make sure you follow on twitter. Re: OverDrive – you omitted to mention a 40% increase in downloads of self-published titles. 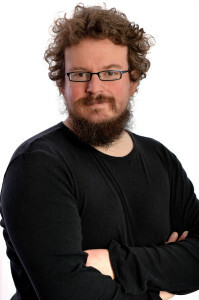 – including some observations from Kobo’s Mark Leslie Lefebvre on the OverDrive-Kobo partnership.